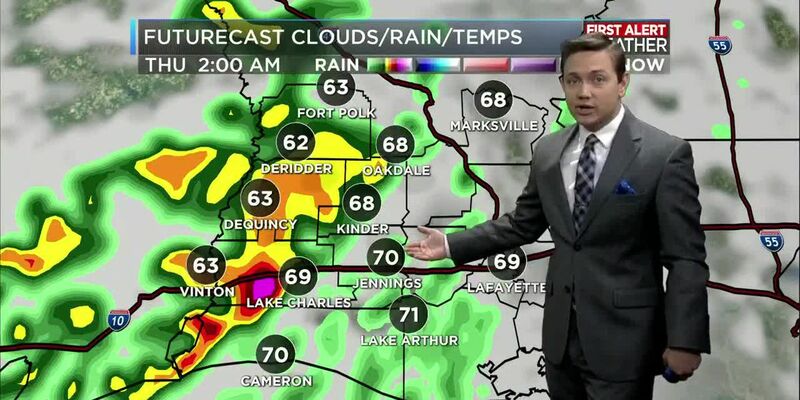 LAKE CHARLES, LA (KPLC) - Happy Valentine’s Day! Temperatures this morning starting warmer than yesterday with lows overnight only dipping into the upper 40s. 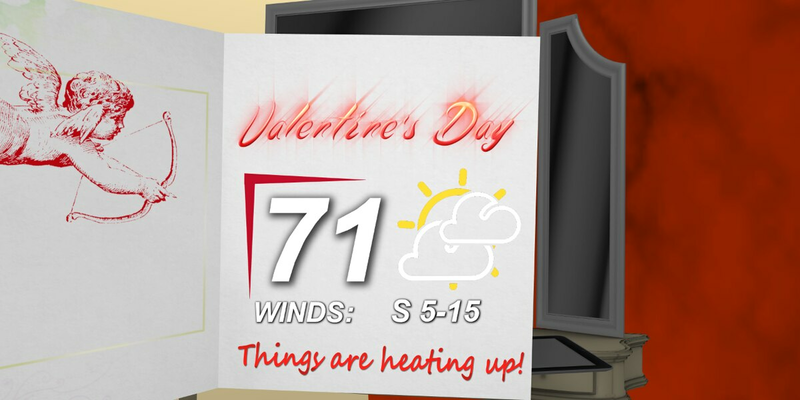 We’ll see a steady warming through the afternoon with a mix of sun and clouds, often more clouds than sun. 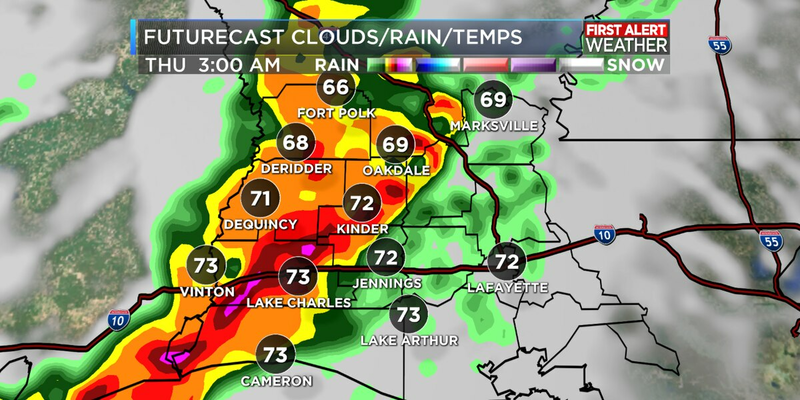 By this afternoon temperatures will reach the 70s in most locations for Southwest Louisiana. Winds continue out of the south and become breezy through the day with some stronger gusts. With increased cloud cover and southern winds temperatures overnight only drop into the upper 50s to low 60s as we head into Friday. We’ll see mostly cloudy skies overnight and that continues into the day. 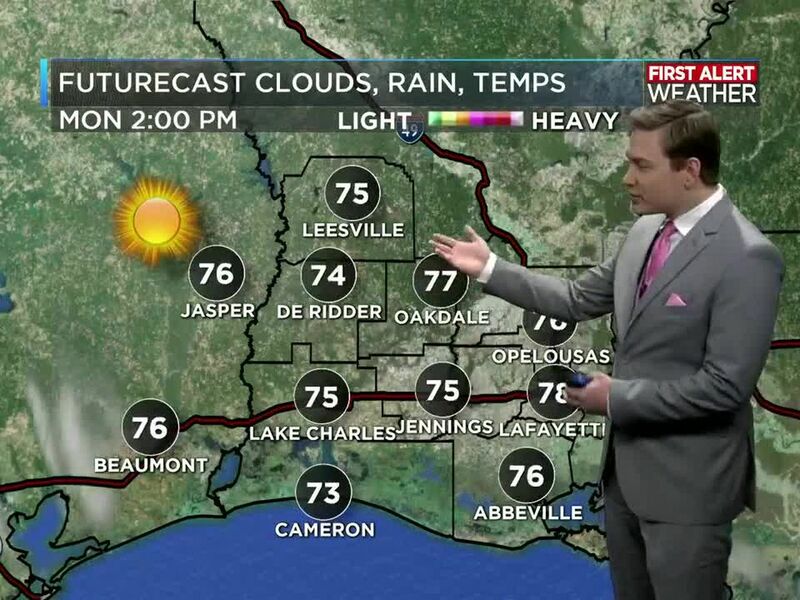 Even with more cloud cover we still see temperatures reach the 70s through the afternoon. Models insisting on isolated showers developing and moving through the area so I have included a small chance of rain through the day. These showers are possible with the increased moisture, but I don’t think they will be widespread. Again overnight temperatures struggle to fall only dropping into the 60s to start the weekend. Rain chances steadily increase into the start of next week starting Saturday with a 20% chance of rain. Temperatures still on the rise reaching the 70s again through the main part of the afternoon. 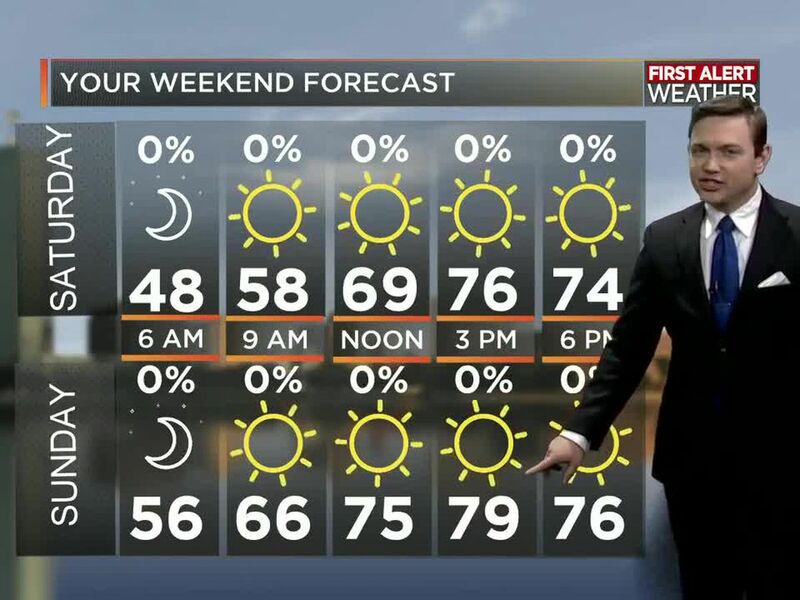 Saturday won’t be a wash out but a shower or two possible. 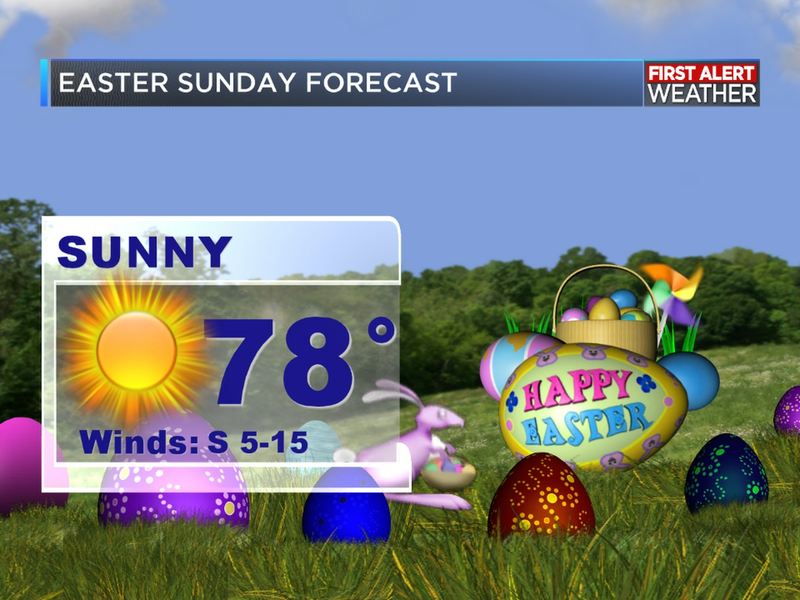 Much of the same expected into Sunday with a little bit greater chance of rain and temperatures still in the 70s. Sunday wont’ be a wash out either but showers are more likely. To start out our next week rain chances are up and temperatures are down. Monday we see a drop in temperatures as a mostly dry cold front passed through Sunday. 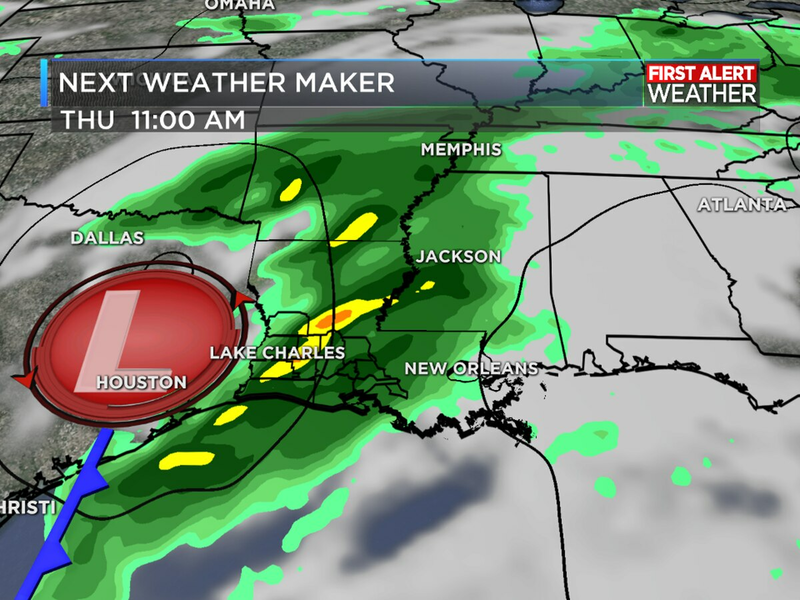 Rain lingers as the front stalls in the Gulf so bundle up and grab the rain jacket on Monday. Temperatures stay chilly though Tuesday only forecast to reach 60 through the afternoon with continued rain. That rain forecast to stick around through mid-week before finally clearing late next week.